Photo updates from some of our most anticipated 2018 period set projects this Saturday, people! 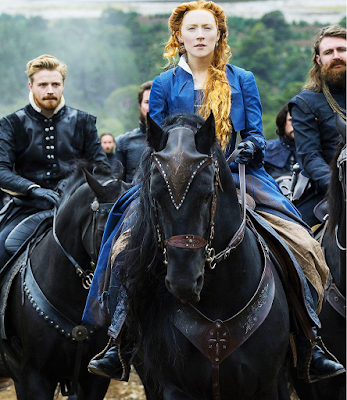 The spy has found a few new photos from MARY QUEEN OF SCOTS which arrives (or possibly rides as you can see in one of the photos) into theatres this September starring two current Oscar nominees Saoirse Ronan as Mary and Margot Robbie as English queen Elizabeth depicted at the time when the Scottish queen plotted against her cousin Elizabeth in order to take over her throne which only led to her own demise. 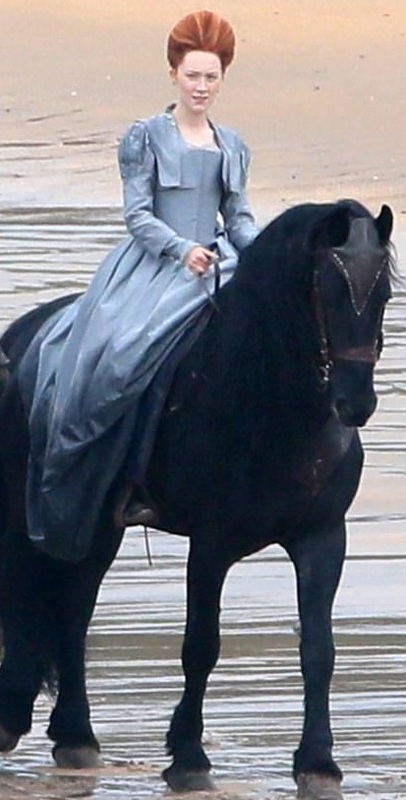 Notice the intricate details on Mary’s gown! Jack Lowden, David Tennant, Guy Pearce, Martin Compston, Brendan Coyle and Joe Alvyn also star. Spy on it more here!